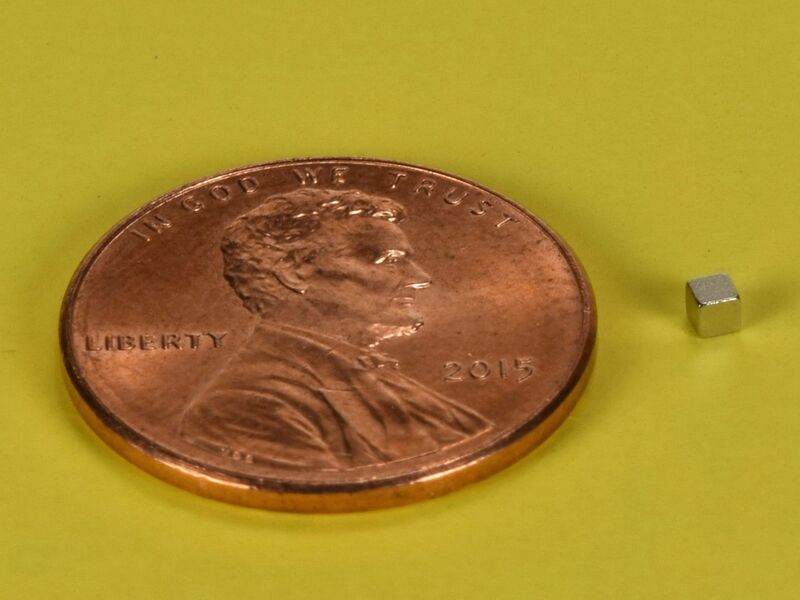 These very small cubes are often used with Hall Effect sensors. The B111 has an incredible force-to-weight ratio. 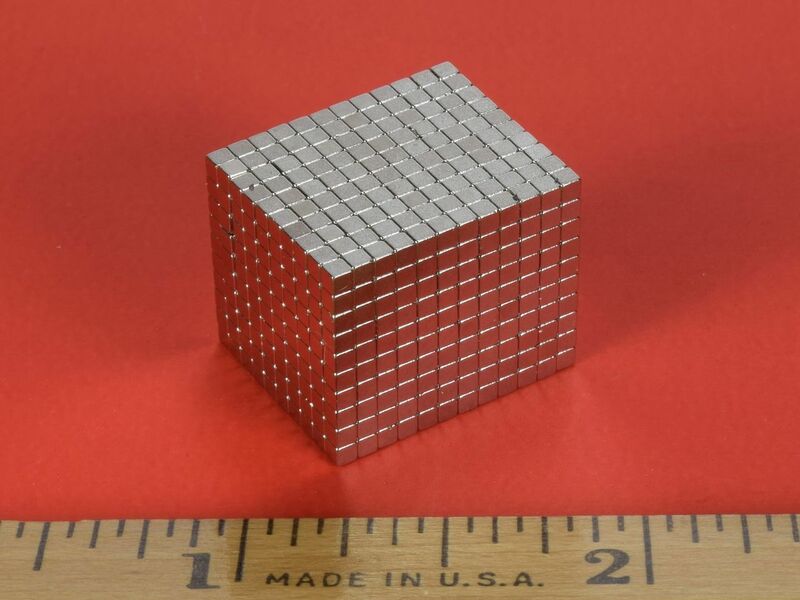 Just one of these small cubes will hold a standard 8.5" x 11" sheet of paper to a refrigerator.